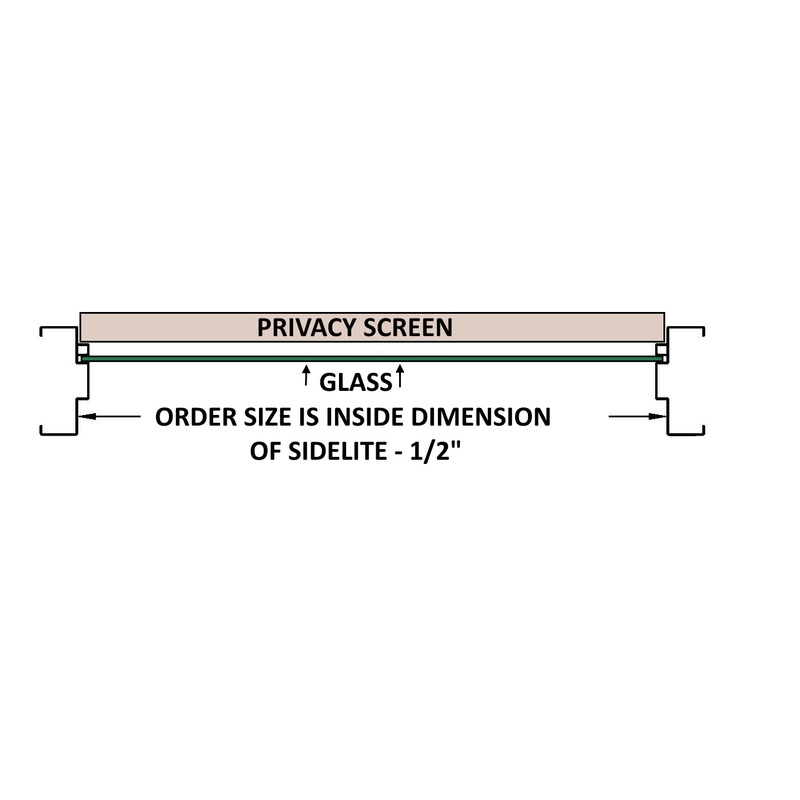 Add Privacy to Sidelites. Provides Complete Blocking of Vision & Light and Attaches Without tools. 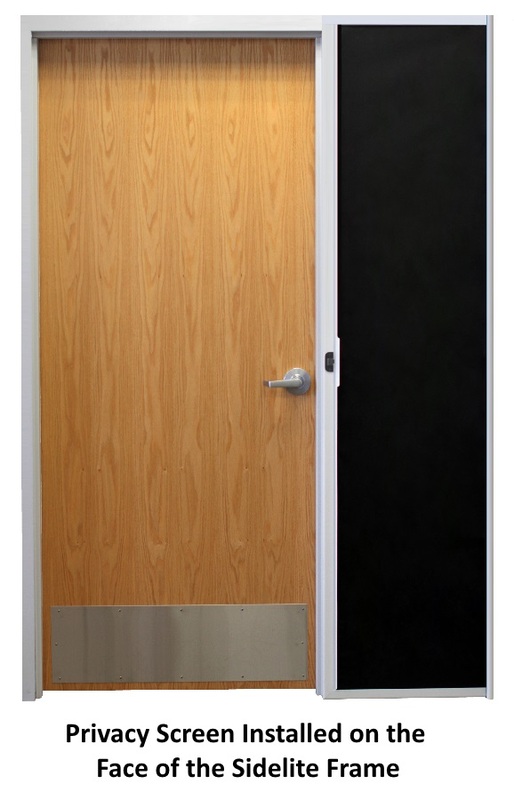 An Attractive, Cost-Effective Way to Add a Privacy Shade to Existing Hollow Metal Sidelites. ♦ Several Color Options Available for Frame to Blend in With Existing Frame. Material: 18 gauge aluminum frame. Construction: 1-1/4” x 1/4” frame on 4 sides with radius corners, mitered and welded. 7/8” deep slots on both sides do not allow any light—even on the edges. Roller: A spring-operated roller in an aluminum housing with black endcaps allows for controlled opening and closing of the unit. Push-button closer quickly and easily rewinds shade. Roller Unit extends 1” from frame face. 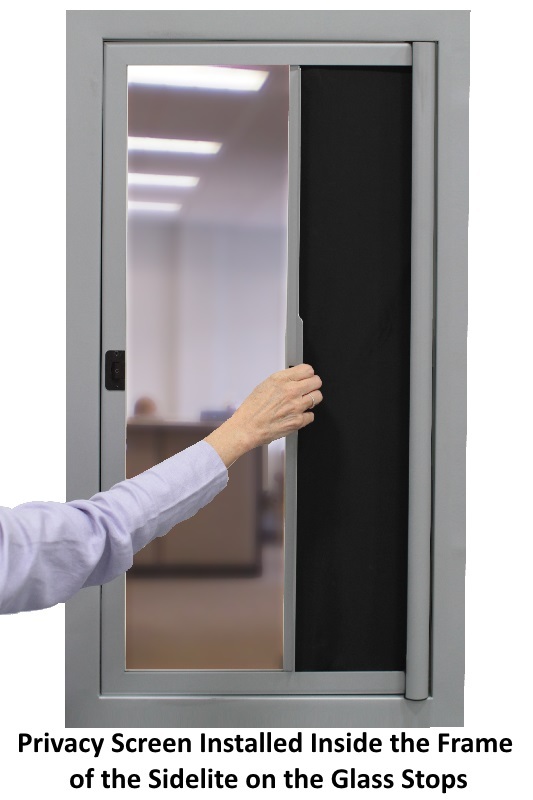 Shade: A durable 100% opaque black, light blocking fabric material, attached to a rigid pull-bar mounted into the top and bottom channels. The shade slides with ease and locks into the closed position. Powder Coat Finishes: (B) Mineral Bronze (standard color), (BK) Black, (FBK) Flat Black, (W) White, (SB) SC Beige, (SI) Silver, (S) Sand, (AB) AMS Beige, (R) Red, (GH) Gray Hammertone. Field painting is not recommended for this product. Sizes: Minimum 7" W x 10" H, maximum width 22" wide by 88" high. Order in any size in 1/8” increments. 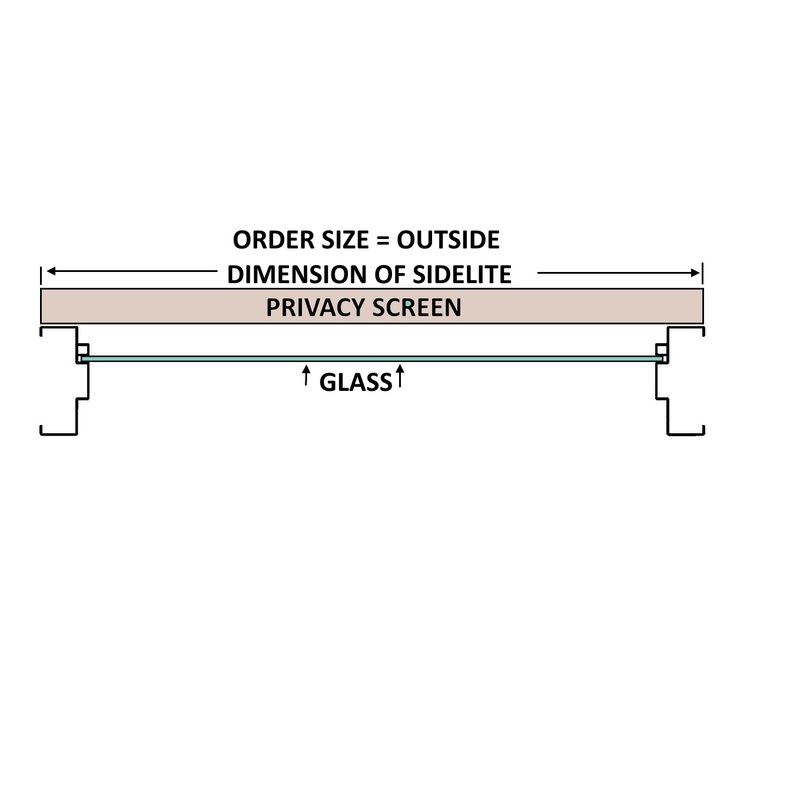 Installation: Attach to 5/8” glazing stop or face of hollow metal frame using fasteners provided.